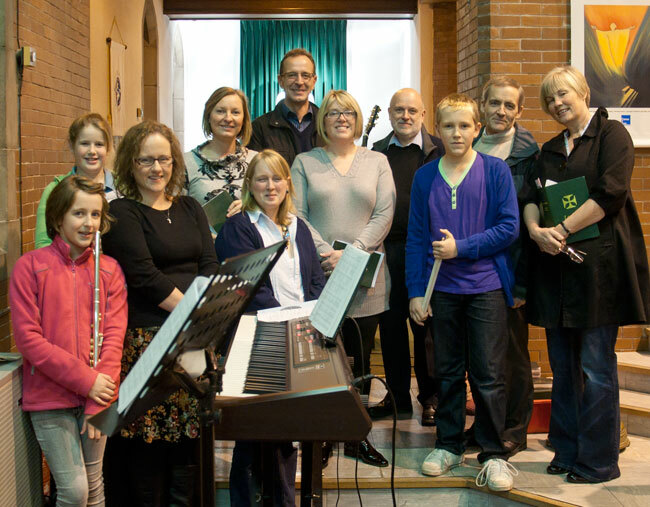 The churches now comprising the Parish of Our Lady of Kirkstall have each had a good tradition in liturgical music, blessed over the years with a number of accomplished musicians amongst the congregation. The present day is no exception with a number of organists and singing groups helping to celebrate the Mass in all three localities. We are also proud of our Young Musicians who include instrumentalists in woodwind, brass and percussion together with several excellent young vocalists. Despite all the other calls on their time they meet to practice and give an excellent lead to the congregation especially on the major Feasts of the Church’s year and on other special occasions. 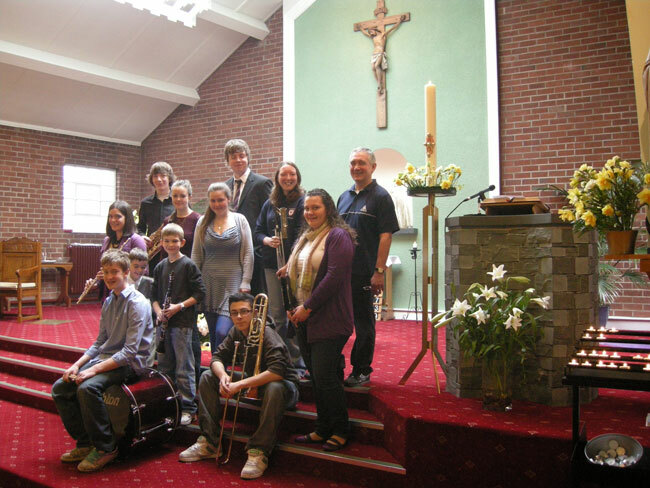 St. Mary's Music Group with additional muscians from The Assumption at Fr Pat's Induction Mass. Holy Name Young People Group.